Decades have passed since a dog named Hachiko's incredible story of love and loyalty came to an end and slipped into the realm of legend. But now a new photograph of the faithful dog has been discovered - offering a rare glimpse at his heartbreaking vigil for a fallen friend. Hachiko's story dates back to 1920s Toyko, where every morning he accompanied his owner, Ueno, to the train station to see him off to work. Afterward, without fail, the dog would then sit patiently until the end of the day to greet him upon his return. This routine continued until 1925 when, sadly, Ueno died unexpectedly at his office - leaving Hachiko waiting, watching the trains for a reunion that would never come. Days turned to weeks, and weeks into months, with no sign of his owner, but still Hachiko refused to leave the spot without him. For the next 10 years, the loyal dog held vigil at the station, earning the sympathy of passersby until his own death in 1935. 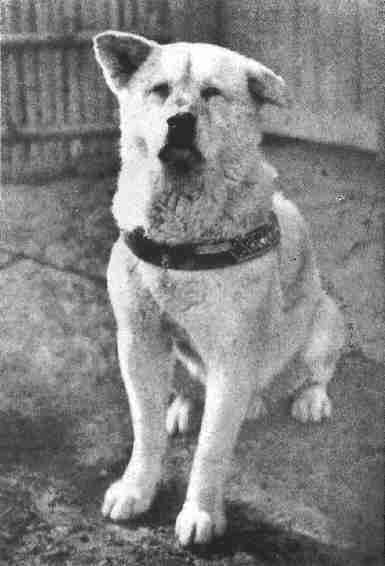 Few photos exist to put a face to the dog's legendary show of loyalty, which makes the recent release of a previously unseen photograph of Hachiko, taken around 1934, all the more significant for folks around the world who have been touched by his story. In it, Hachiko is seen resting on the ground in front of the train station, scanning the faces of passersby in hopes of spotting his owner's among them. His eyes look visibly tired after what then would have been nearly 10 years of waiting, but there's still a palpable sense of hope behind them. 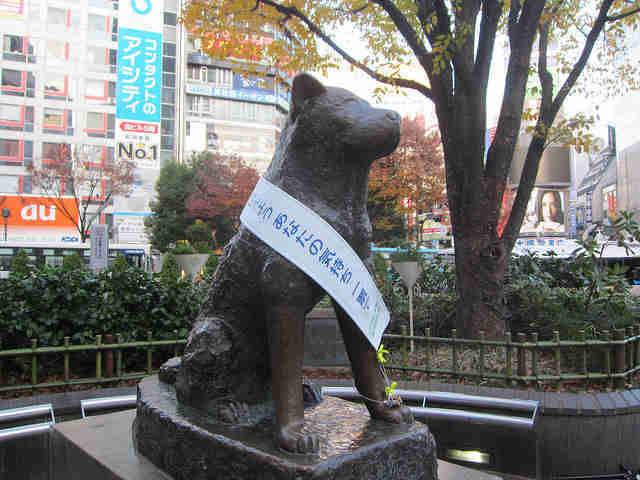 In the 80 years since Hachiko's death, he's come to be known as "the world's most loyal dog." Over the decades, interest in his story has yet to wane, with Hachiko making numerous appearances in popular culture, including the 2009 film "Hachi: A Dog's Tale," starring Richard Gere. 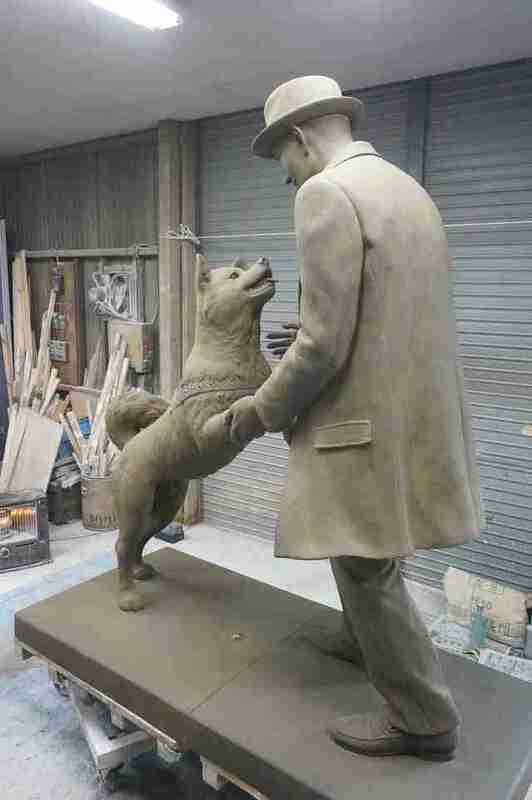 Although Hachiko never did see his owner again, a statue unveiled this year has symbolically reunited the pair forever - standing as a fitting testament to the depths of love dogs have for their humans.